In 2013, the Town of Medway turned 300 years old. 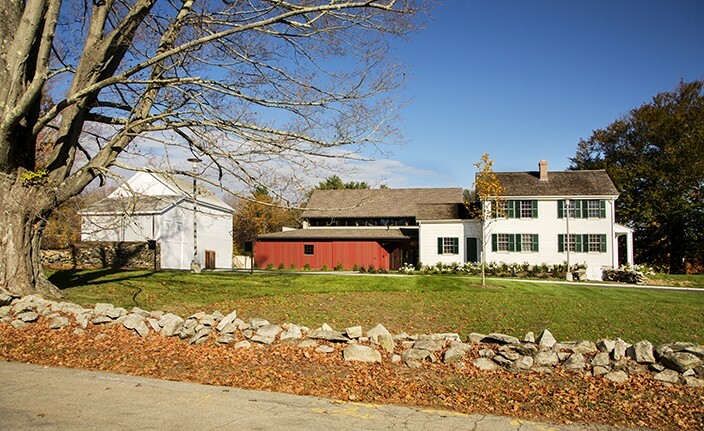 In preservation of that history, with a look to the future, the town selected LLB Architects to facilitate the restoration of and addition to the 150 year old Thayer Homestead, a historic farmhouse built in the 1830s for adaptive reuse for public and private functions. 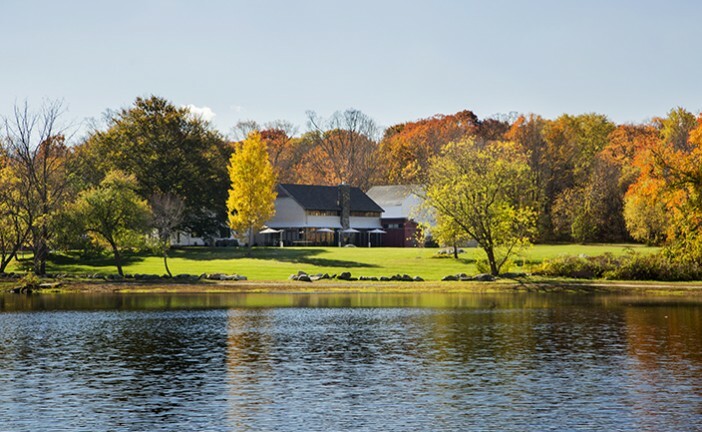 In concert with an existing 2007 structural report, the historic home received historic improvements, structural upgrades; and complete MEP/FP systems. 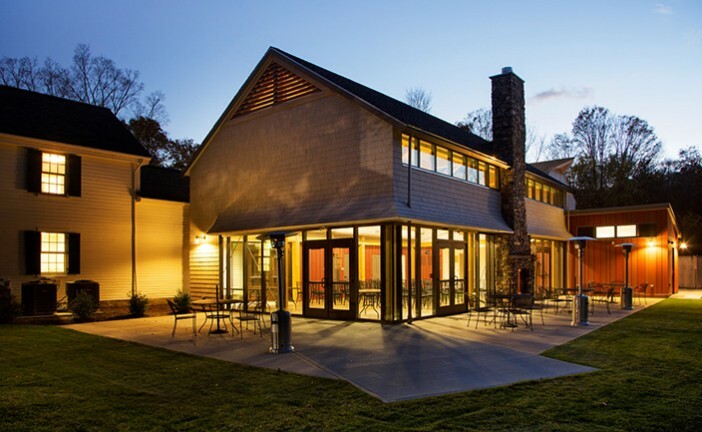 The homestead addition primarily consists of one large double-height exposed timber framed banquet space, with glazing on two exterior sides, connected to a new patio that overlooks a large grass field, Choate Park and pond, and a lovely 54” diameter beech tree. In the midpoint of the long exterior façade is a double-sided fireplace within a stone chimney, which faces both the banquet and patio spaces. 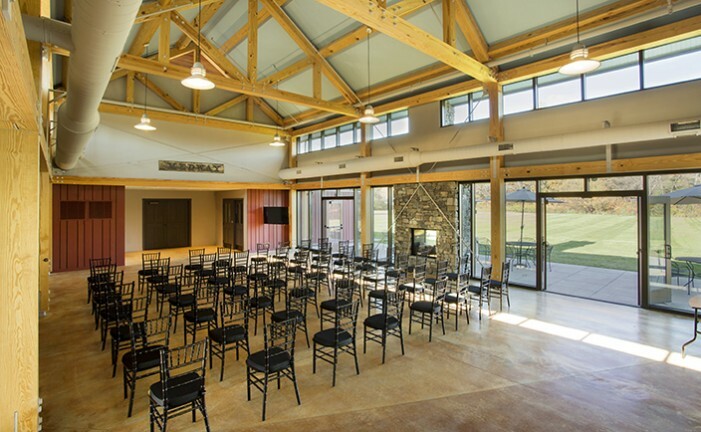 One story service areas, such as a caterer’s kitchen, and restrooms, connects to the banquet space on its other two sides. 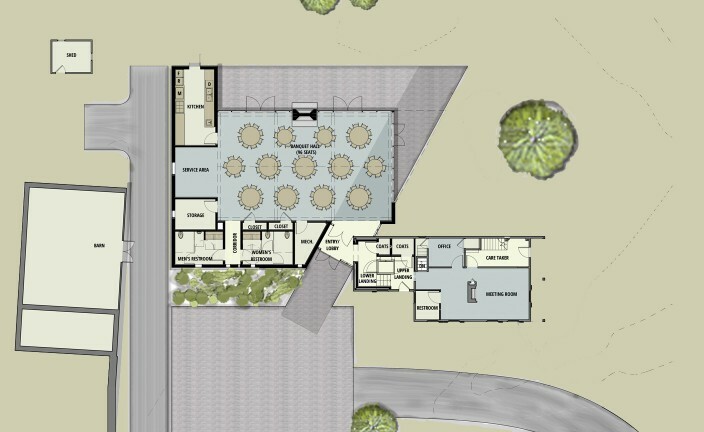 The addition and the public portion of the homestead is accessed from a new entry vestibule situated at the intersection of both buildings. 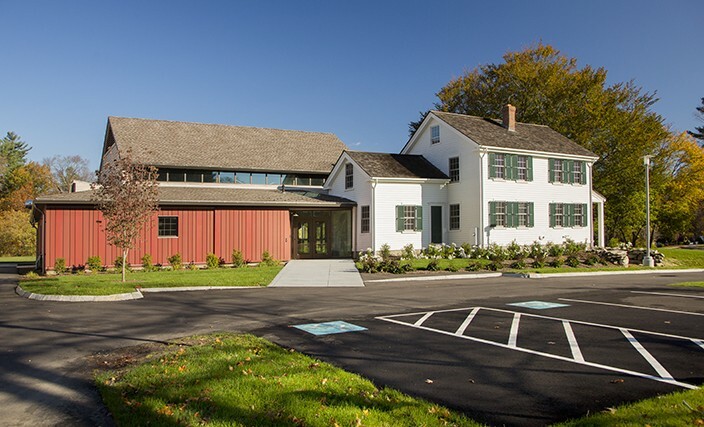 The addition is set back from the homestead which retains its prominence, and the addition only touches the homestead on a rear corner, below its roofline. 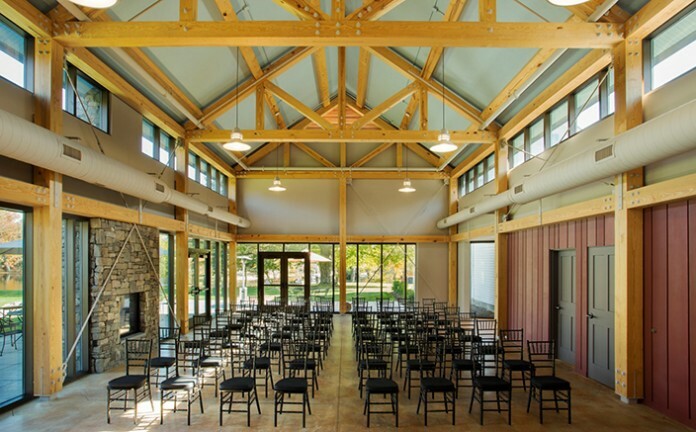 The vestibule walls are mostly glass, allowing visitors on arrival, to look forward through the building to the view of the park and pond beyond. 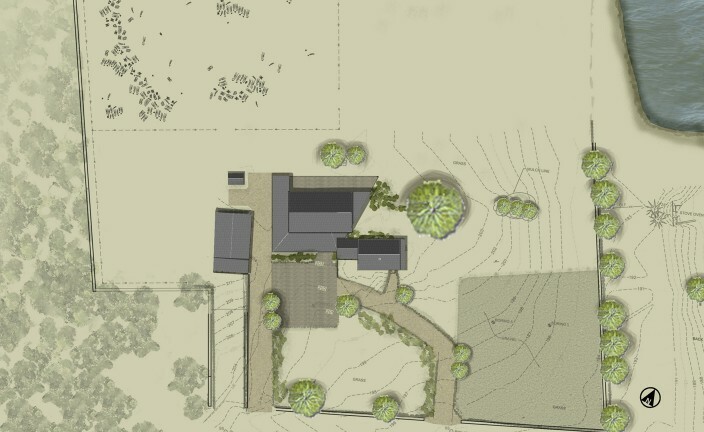 LLB Architects initial impression of the site and landscape was of a directional view across the landscape and the pond. 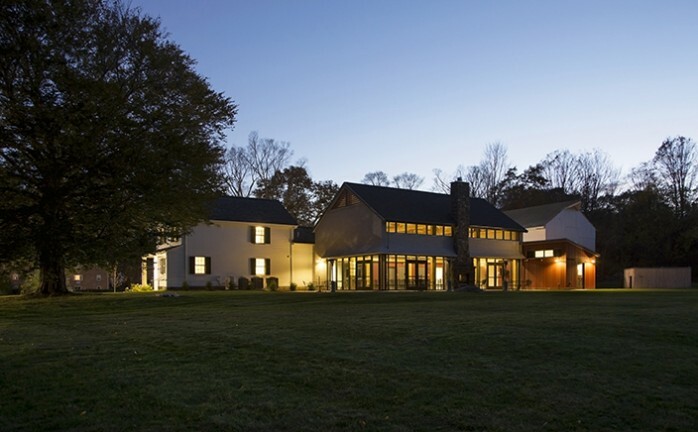 The design reinforces this natural view, creating a new space that complements it context, harmoniously retains forward and outward views to its site, while honoring its adjacent past. Read the latest from Wicked Local on the project nearing completion.